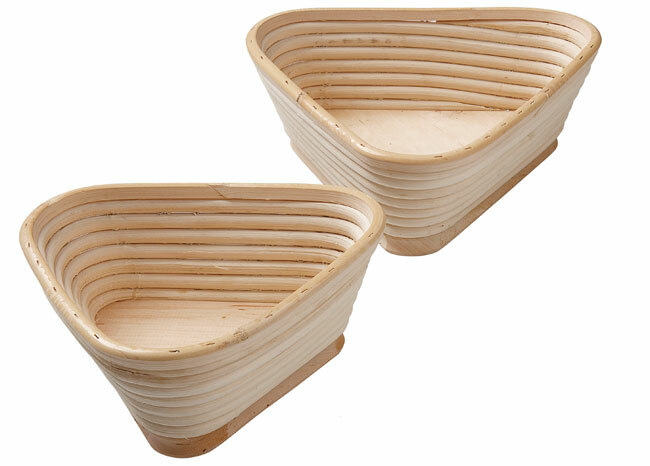 Crafted of Willow, this basket allows you to proof and imprint its shape into all your special and mixed dough. Great country-style breads, can be used for table top service. Triangle 1 lb of dough. Length 7", Width 7 1/4", heigth 3 1/4"
Triangles 2 lbs. of dough. Length 9", width 9", heigth 3 1/4"